Are you struggling to manage your stress levels? Do you feel guilty for making time for yourself? Do you often find yourself feeling tense, anxious or depressed and suffering from back problems, poor sleep, fatigue, headaches, skin problems or frequent colds? If you are ready to feel healthier, happier and enjoy spending time looking after yourself, I can help you to get some ‘me time’ away from the stresses of everyday life, enabling you to fully relax and unwind and give your wellbeing a much-needed boost. I help busy people to relax even if they think they don’t have time! My aim is to combine the effectiveness of complementary therapies with the luxury of spa treatments to create a unique and bespoke experience that allows complete balance and harmony of the mind, body and spirit. 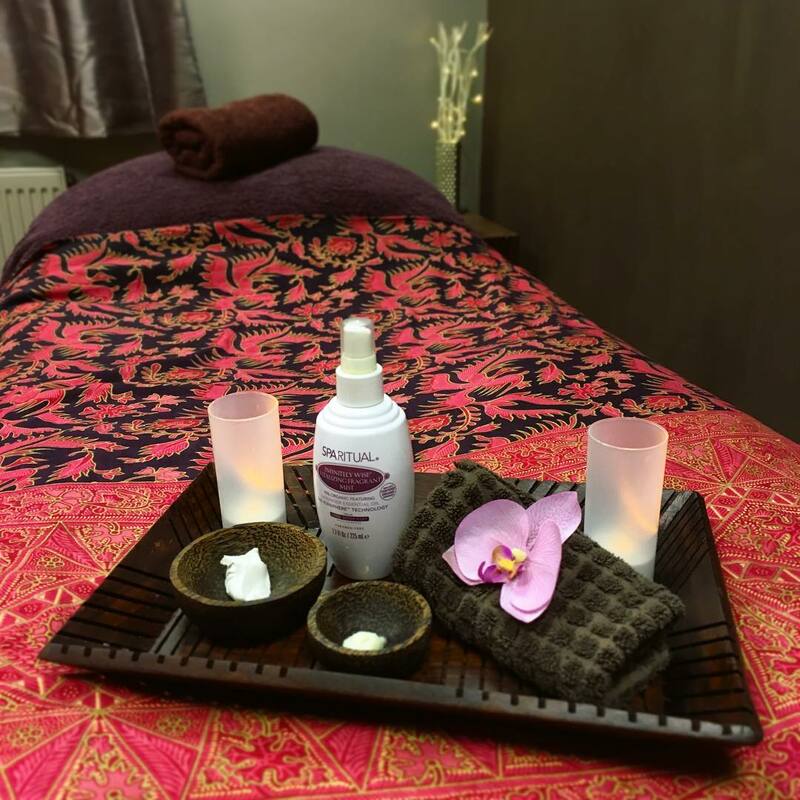 Aromatherapy is my passion, and I incorporate essential oils into many of my treatments, including my self-designed holistic spa treatments, to help optimise wellbeing and restore inner tranquillity. Each treatment is personalised to address your individual health and wellbeing concerns. Are you ready to start looking after yourself? Don’t let stress get the better of you – contact me today to start your journey to relaxation. Vegan. Cruelty-Free. Natural. Ethical. Luxurious. 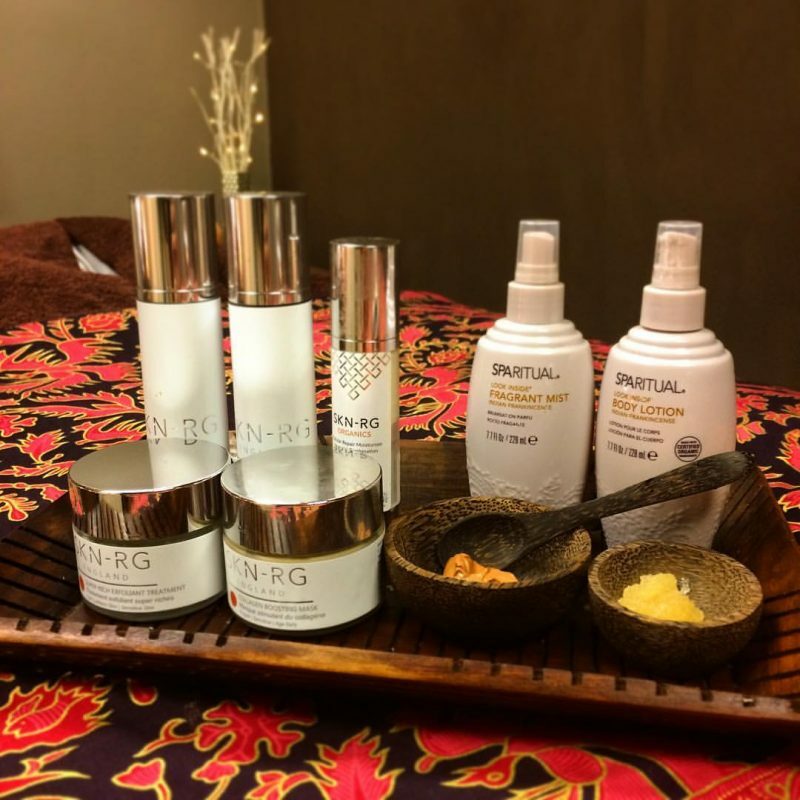 I pride myself on only using the highest quality products in my treatments that are always natural, vegan, cruelty-free, and where possible, organic. I have pledged to be a cruelty-free business through Cruelty Free International, the leading organisation working to end animal experiments worldwide. I therefore only use brands that are certified under Cruelty Free International’s Leaping Bunny Scheme, including SpaRitual, SKN-RG Performance Skincare and Quinessence Aromatherapy. Is your favourite brand cruelty free? Find out here! Why natural products? So many beauty and personal care products on the market today contain a long list of ingredients that are hard to pronounce, many of which have been linked to health problems and skin irritation. I personally only use products that are as natural as possible, and I will only use such products on my clients as well. I will never use or promote a company or product that I would not use myself. I care deeply about the environment, and strive to be as eco-friendly as I can in all aspects of my life, including the way I run my business. In addition to only using vegan, cruelty-free and natural products, I also use LED tea lights and soy candles, use organic cotton wool and tissues where possible, and I try to recycle as much as I can. I am always looking for more ways to reduce my impact on the environment. Tranquilla Rosa is all about ethical luxury. I believe in providing a truly indulgent, spa-like experience to enable complete relaxation of the body and mind. 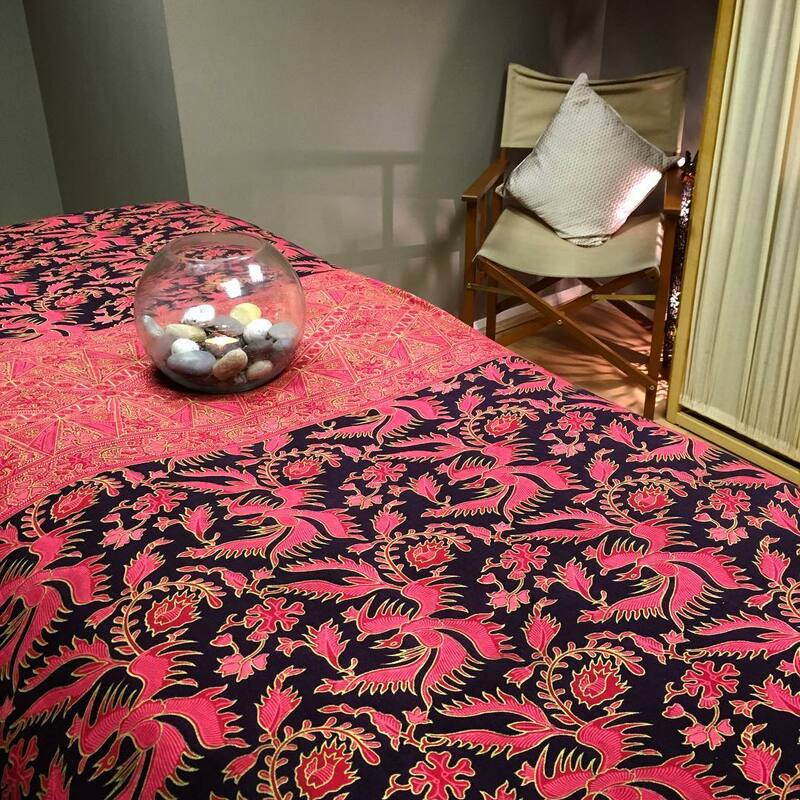 My treatment room is a peaceful sanctuary where you can escape and unwind, and learn to enjoy your regular me time. I have always had a love of everything to do with health and beauty. My journey began in secondary school, when I studied for a qualification in beauty consultancy alongside my GCSEs. I then attended Cornwall College to train in beauty therapy, where I discovered a passion for the more relaxing treatments such as facials and massage. 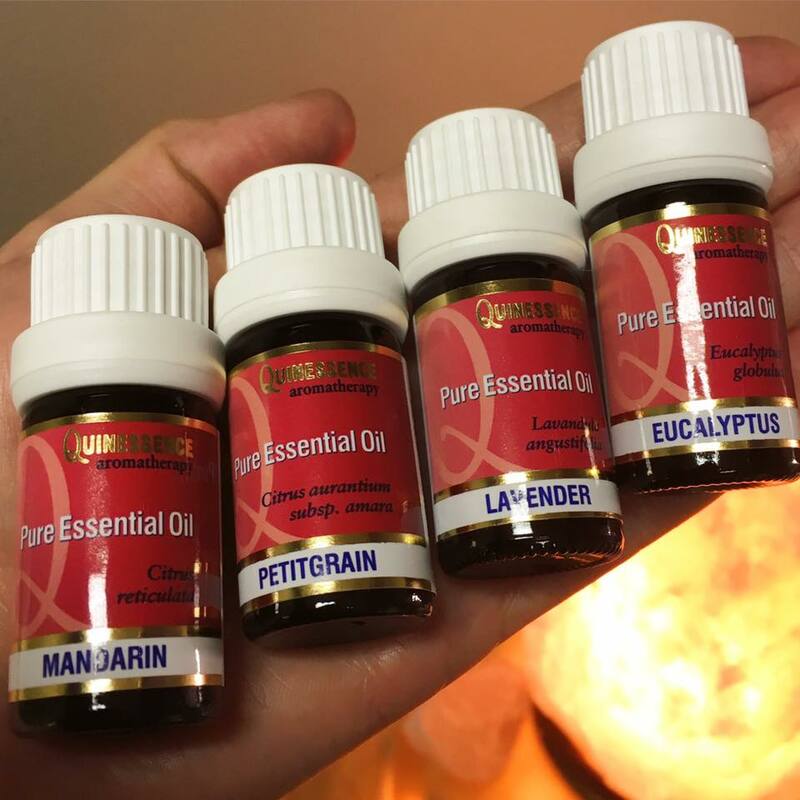 Upon finishing my studies, I decided to take my passion further and stay on at the college to train in complementary therapies, where aromatherapy soon became my favourite treatment. On completing my degree, I decided to start my own business, and Tranquilla Rosa was born. As a vegan and a lover of natural skincare products, it was extremely important to me that my business should share my personal ethical beliefs. I love being able to get creative and design my own treatments to enable my clients to enjoy a unique and deeply relaxing experience. 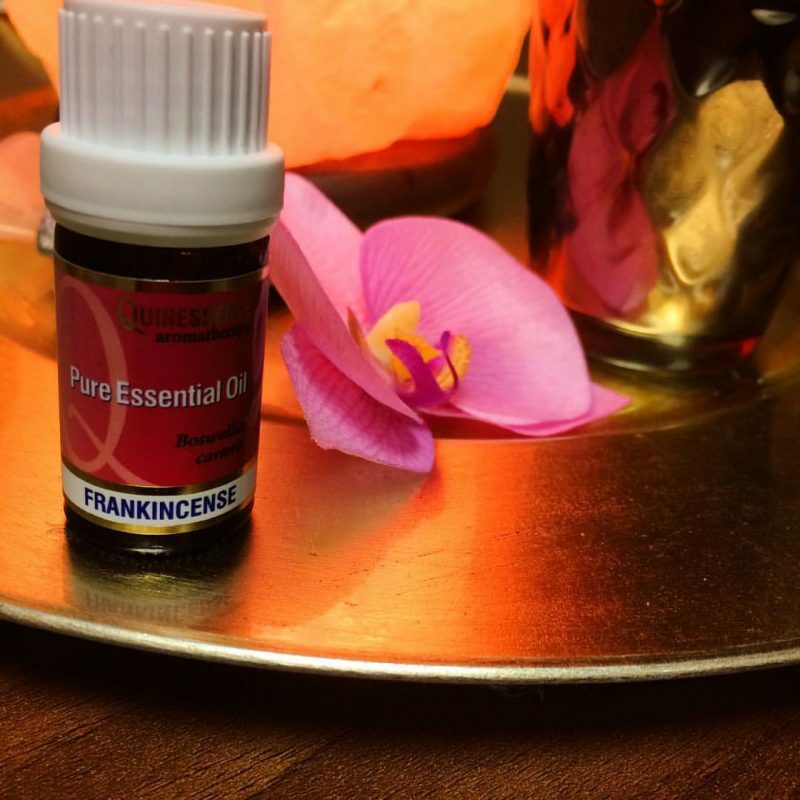 I am also an avid writer, and I love sharing my knowledge of natural health and beauty on my blog. I also write for other websites and blogs – if you would like to work with me then please get in touch. My Qualifications: FACIALENHANCE® Certificate in Jade Roller Facial Enhancement Massage Foundation Science Degree in Complementary Health Therapies ITEC Diploma in Aromatherapy ITEC Diploma in Holistic Massage ITEC Diploma in Reflexology ITEC Diploma in Anatomy, Physiology and Pathology City & Guilds Level 3 NVQ in Beauty Therapy City & Guilds Level 2 NVQ in Beauty Therapy City & Guilds Level 2 NVQ in Customer Service City & Guilds Level 2 Certificate in Beauty Consultancy. I am fully insured and am a member of the Guild of Holistic Therapists. "First ever kind of massage, all I can say is that I'm already booked in again. Wonderful." "Just had an amazing aromatherapy massage by Jessica, feel so relaxed! Would highly recommend." "I have been visiting Jessica on a monthly basis for about three years now, always a pleasure and always feel better for it.. Great treatments, great location and Jessica is lovely and friendly."